Are you ready, true believers? 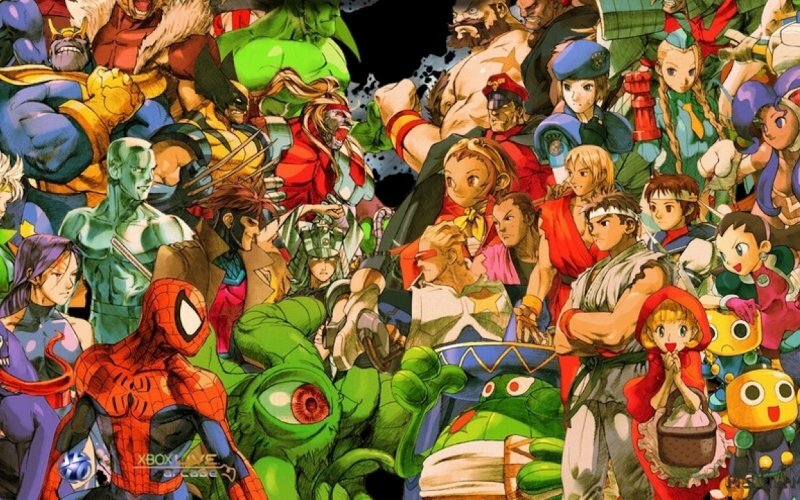 This jam-packed show spans a whole slew of fighting games released between December 1994 and September 2017, untangling the relationships between Marvel, Tatsunoko, SNK, Tekken and Capcom's various properties, as well as the developers behind the various mash-ups and their evolving and diverging aesthetics and mechanics. Mahvel baybee! Cane and Rinse 294 was edited by Ryan Hamann. Appreciate I'm giving this quite the bump... just wanted to add that this was a favourite episode from my recent binge of the archives. Inspired me to go back through some of the games on the Saturn. At least until Jugganaut & Zangief on X-Men vs Street Fighter gave me the rage anyway. Off the back of this I also decided to give Marvel vs Capcom Infinite a chance, it was on sale with the character pass. Capcom obviously dropped the ball with it, but there is still fun to be had for sure. ^^^^ Happy you enjoyed it! I recently got me a hard copy of Marvel vs. Capcom 2 on Dreamcast as well and now I'm quite addicted to it. Excellent, it's such a shame the digital edition is no longer availalble. Would have been great for that to get Backwards Compatibility on the Xbox One. Yup. I recently deleted the game from my 360 to make some space on my HDD (also, one of those tiles with the artwork missing) and I could redownload it, but really prefer the way it looks and feels on the old DC and a CRT television. That avatar is class, by the way! I don't have room for a CRT any more, so all my systems have to put up with being on my LED TV. DC at least looks good via VGA. Other systems are passable via RGB Scart at least. Thanks on the Avatar, although I found it rather than made it myself so can't take any credit!